Back in the long-gone era known to historians as The Eighties, BMW wanted to create the ultimate Grand Tourer, a coupe that would show the world just how fast, comfortable and nimble their cars were. This new project was to become the 8 Series, a V12-powered masterpiece designed using the latest technologies and fitted with systems nobody had yet heard of. For a decade, the 8 Series was the most advanced BMW on the market. Then, the Bavarian manufacturer chose to put this model on hold for a while. 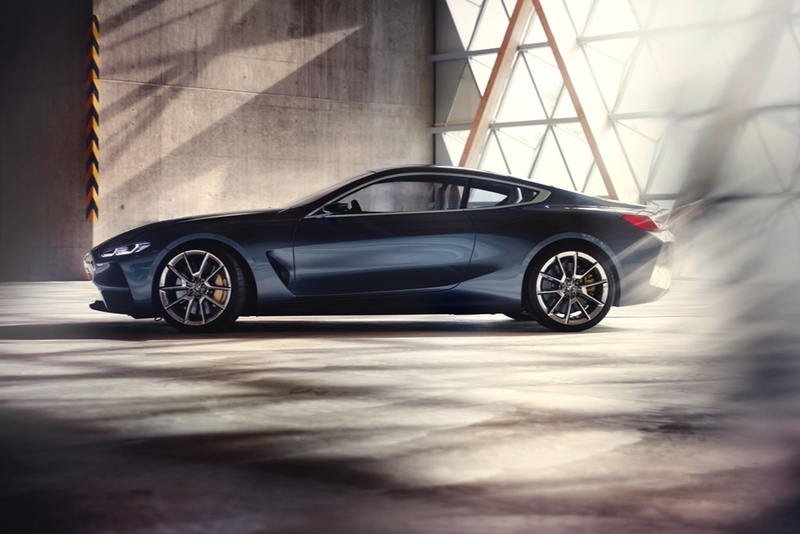 Actually, it was just before the Concorso d’Eleganza Villa d’Este at the end of May that BMW revealed the 8 Series Concept. The sleek dark blue coupe features plenty of carbon fiber, a long hood, and futuristic headlights, just like every other concept out there. However, it differs in a crucial point: it will be built. The upcoming 8 Series will be based on the platform of the current 7 Series. This means that all the technological advancements that were pioneered on the luxury sedan will be found on the coupe. For example, the chassis will make use of carbon fibre, which should make it lighter (and therefore faster) than its competitors. Inside, nothing but quality leathers, metals, and woods are used. 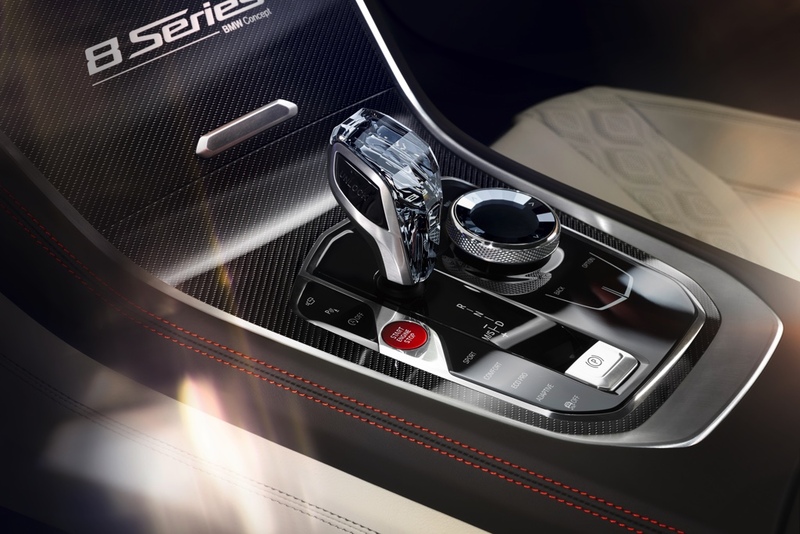 The shift knob, for example, looks like something out of a jeweler’s shop. 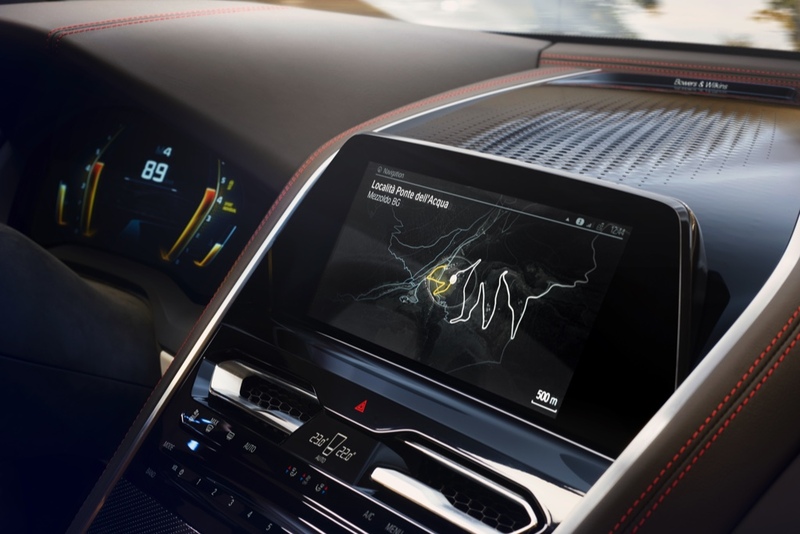 The dashboard ditches all analog instruments and goes for a futuristic approach with a single driver-centered LCD screen that’s fully configurable and can display different info like the various drive modes and whether your GPS navigation is activated. While the drivetrain options haven’t been announced, we can speculate that a twin-turbo V8 will be used. If we’re lucky, the 7-Series’ V12 might also be found under the coupe’s hood. 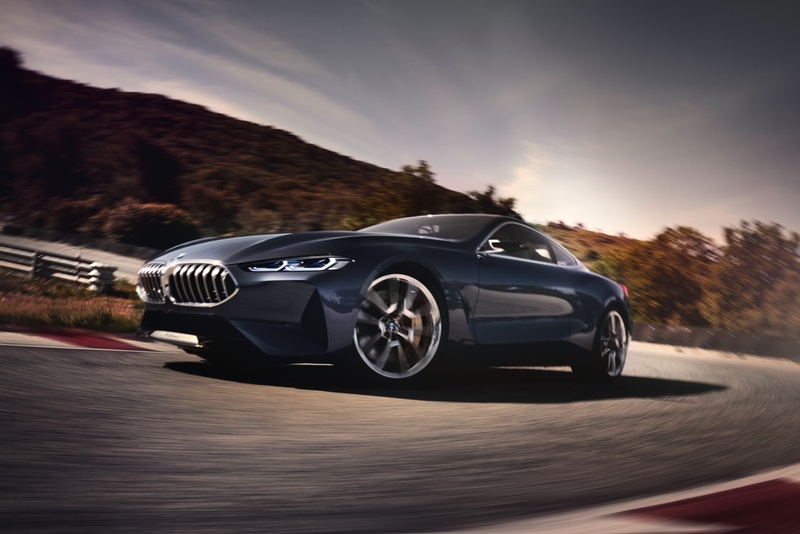 This also means that an eight-speed automatic transmission will likely be the only option (unless BMW surprises everyone and unveils a six-speed manual, V12 8 Series as an homage to the past…one can dream). Rear-wheel drive will probably come standard, and the brand’s well-known xDrive system will be optional. On the concept, the wheels are gigantic 21-inch units. We aren’t yet sure what will find its way on the production version, but we expect the standard wheels to be a little smaller. So why did BMW decide to revive this moniker? Well, there is a niche market for flagship two-doors, as proven by the Mercedes-Benz S-Class coupe and convertible, as well as the Bentley Continental. BMW wants to bring back their technical know-how and attention to detail to this segment, and rightfully so. To get even further ahead of ourselves, there’s the eventual likelihood that we’ll see a convertible variant as well as an M series. BMW announced that the 2018 8 Series would arrive in dealership next year. Pricing isn’t yet finalized, but it will likely start a little over $100,000. It’s a fascinating glimpse at the forthcoming updated design language from BMW, and one we can’t wait to see in the flesh.